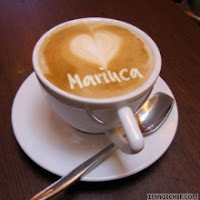 Thanks so much for making this lovely Mariuca coffee cup for me. I know you’ve been busy and worried sick about your brother and his condition and yet you still found the time to create this special gift for me. Thank you Jan! That’s so like you, thoughtful and sweet and always putting others ahead of yourself. I will proudly display this cup at my Perfume blog as a reminder of my Number 1 Fan for this blog - that's YOU! Thanks for always visiting Mariuca's Perfume Gallery and making it even sweeter with your funny and entertaining comments here! Me & the girls and everyone here have really missed you these past few days and we're really sorry that you're going through a rough patch in your life, one that's leaving you in fear and depressed at the thought of possibly losing someone so dear. We just want to let you know that our thoughts and prayers are with you. Although we miss you terribly, we understand that right now, your place is with your beloved brother and your family. We share your pain and sorrow at having to see your brother go through what must be one of the most trying periods of his life and we want you to know that we are here should you need us. We really hope that your brother will recover soon and we want you to remain strong for his sake and for the rest of your family too. Take care Janice and know that we'll be right here waiting for you to come back with good news on your brother's road to recovery. Till then, we love you and we miss you and I have a little something for you that I hope will cheer you up and make you smile tonight. Marzie you are so sweet to think of this and thanks for the invite! I show my support to Jan during this difficult period here! Hi jan stay cool and trust God! Best Wishes! Hi Marzie, Very nice of you to put up this post for Jan. We know that she is busy and worrying about his brother. She did replied my comments despite what she is going through. Jan, My prayers and thoughts are will you too and wish your bro a speedy recovery. Take care. you definitely are a true friend indeed for writing such thoughtful post for Janice. Let us all pray and wish for the speedy recovery of her brother. I love Janice too, and I wanted to do a post for her as well..I wasnt sure if it was appropriate at the time, being a shy type of person !! Seeing the wonderful and true blogger love you have shown to Janice here makes me realise that we bloggers must always follow our hearts...my post to Janice will be up in an hour.You are a wonderful friend to all of us,Marzie...I know Janice will appreciate all our prayers and thoughts and this beautiful gesture from you.I hope her brother gets better....I really do! Hello Marzie! Beautiful letter. I miss Janice too and do hope that her brother will be fine. Marzie, you've spoken our thoughts. Thanks for putting this post out. After her wonderful Birthday a moment ago, Mesra Marzie Marvelous Mariuca, has grown wiser I see particularly the sharing of her heart with my BFF Janice Ng. The Nyonya I love so much, I am her Apek with no front teeth always smiling one. Please, pretty please no need standing or siting ovation, okay, I already been given an award for this. Yes The Uplift of the lips award. Until now my lips still curvy I do not know how to allow this down for a while. I am not saying I am tired or my lips also tired in this position, but I am beginning to look like Phoebe!!! LOL!!! Okay lah I am his Uncle, what? ...who gives him an Ikan (Fish) award. So what, one special fish, I don't mind, I got lots more in my trouser pockets. Marzie, the cuppa of coffee Janice Ng share with you, keep a few sips, for me and my the Magical Golden Cat, okay. We shall soon visit your ketai, as we move along walking the bloggosphere. Oh yes, I was searching and searching, haiyah, where is Janice Ng, recently I am at Johor Bahru, I can hear her children's laughter from Tropica Garden where I perform training for Ministry of Education counter staff and telephonists. Out of 80 pax, 10 men, the rest are virgins. Yes just like me!! Hahahahaha! Okay lah, what you are going through, Noynya aarh, I respectfully share this perfume owner entrepreneurnizationness' wanginess in saying and sending you *Lotsa Love n Hugs for Jan! I am kind to let others hug you first, go ahead guys and gals. Next my turn and mine is so huge a hug without the e, yes a Universal Hug, that shall keep you, Janice Ng, this shall last till the year 3007. Please move a bit your punggung, aarh, I now hug your brother. He is my brother too. Done! Zubli Zainordin sharing wholesome love and beauty in its entirety, walking side by side with theblogfairy Gracie Belle, and Santa Claus the Real Magician Mr Merrily. Since we are all co-authors of the Santa Blog, please one here so nice to a level of nicenessnizationness, share this post at our blog. All wear Red hat please. My Blue Hat proposal does not get through at the North Pole Regional Conference recently. If it is South Pole near Singapore, and Janice Ng voting, I think and I feel, must win one. The fact remains, Santa says...Red. Itu selupa Ang Pow karer! BlogElf and I, hehehehehe! Hi Zubli, thank you for ur comment here for Jan. I'm guessing that I have to translate for her again? Jan, basically Zubli is saying that he wishes you well and a speedy recovery for ur brother. Your brother is his brother too. Zubli has not sent u his well wishes yet cause he's such a nice person that he's willing to let others go first while he waits, but now he's finally here to give you lotsa love and hugs too! I guess you didn't get my comment so here's another! I love the bright red card for janice! 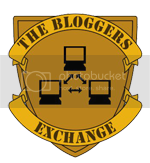 I also displayed Nafa's badge on my site and linked to all posts involved in our joined effort for Janice. I hope all this love will do some good. Thank you Marzie!!! Hey Marz, nice of you to put this post for Janice. And it's nice to see everyone's sincere support for a fellow blogger in their times of need. Janice, here's wishing your dear brother a speedy recover from the Phillips clan. Hi Nick, thanks for coming by to show ur support for Janice. She will be so happy to see u here too, that's for sure! As we unwind and look forward to the weekend, let’s not forget Jan’s good brother that is still in need of our sincere prayers. I truly believe that the invisible strength of love and prayers no matter what religion we belong to, will do miracle to the receiver of our good prayers. Thank you everyone who have written their love & hugs for me & my brother. Its really good to have all of you here with me on days when I am down.